After the long-time postmistress Sharon McCarthy, passed away, the Knights Ferry Post Office was abruptly closed. As one person said, it was the center of gossip for the 98 residents in town. There is hope that someone new can be hired soon. For the time being, the residents must go to Oakdale to pick up their mail. Guns n Roses reunion tour?? 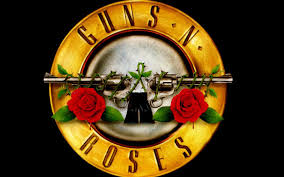 There are rumors of a reunion tour by Guns n Roses after they made a surprise appearance at a concert in Hollywood last night. Crowds lined up for blocks when it was announced there would be tickets available at the 80's price of $10 each. April 2, 2016 at 12:15 PM: A motorcycle collision has been reported on Hwy 16 near Shenandoah Road outside Plymouth. An ambulance and tow truck are responding to the scene. Use extra caution if headed that way. On April 6, 2016 at 9 AM in their Board room on Toma Court in San Andreas, the Calaveras County Water District is holding a meeting to set up an agency which will sell bonds to the public in order to raise money. This seems to be an already agreed to item. The meeting will be as both the Bond agency and CCWD water. April 2, 2016 at 9:20 AM: Be cautious if travelling on northbound Hwy 99 near the Acampo Road offramp, as ladders have been reported in the middle lane. CHP is en route to the area to remove the hazard. After reading all of the articles about the Calaveras Supervisors meeting on Tuesday night, March 29, 2016 i want to address the part about "our values".